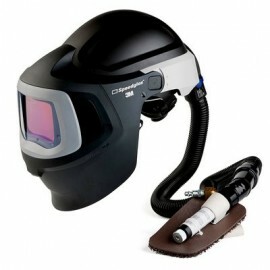 Welding Respirators - Great selection at discount prices! 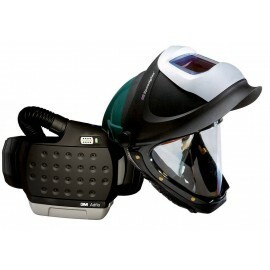 Discover a wide selection of respirators for welding, all designed with your protection in mind. We carry a variety of respirators, including particulate, half-, and full face models as well as the most advanced powered air respirator systems (PAPR) from 3M. 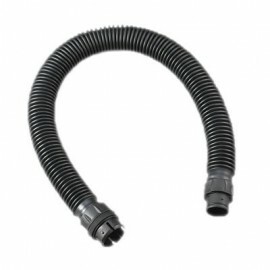 We have the breathing equipment you need to keep yourself safe. 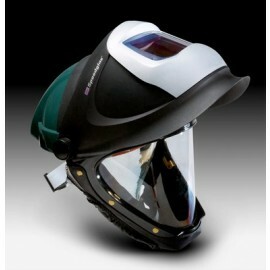 Finding which welding respirators will offer you the maximum coverage is easy. 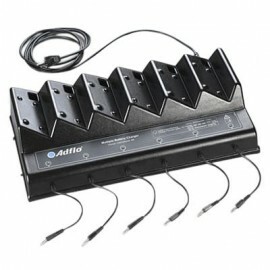 We also carry other types of supplies for welders to satisfy your safety needs. The concentration and identity of particles in the air. The OSHA, MSHA, or NIOSHA permissible exposure limit (PEL). Hazard ration (HR) - the airborne particulate concentration divided by the exposure limit. The Assigned Protection Factor (APF) for the class of respirators, which should not be larger than the HR. 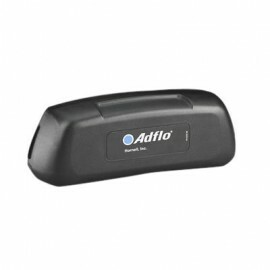 Any service life information available for cartridges or canisters. 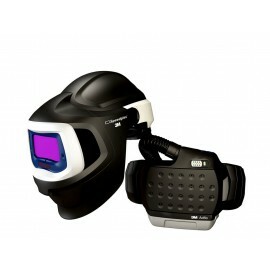 Once you complete an assessment of the environment, you can select the right respirator for welding. Air-Purifying Respirators - These welding respirators can be either a filtering facepiece, full-face, or half-face mask with mechanical or chemical cartridges to remove dust, mists, fumes, vapors, or gases. They are available in three types. 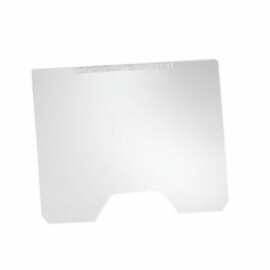 Filtering Facepiece Respirators – This variety is disposable and is intended for one-time-use only. They filter out just particulate matter. 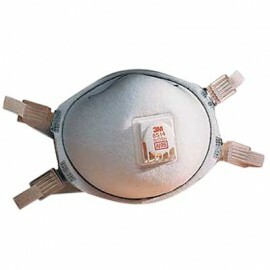 Disposable Air-Purifying Respirators – This type of breathing gear works for one-time use or until the cartridge expires. 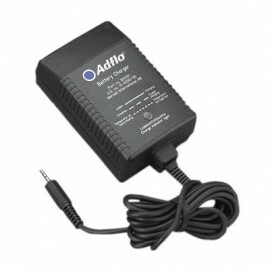 Cartridges are permanent parts and, therefore, you cannot replace them. 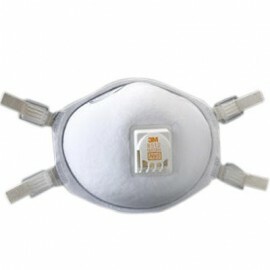 Reusable Air-Purifying Respirators – These masks use both replaceable cartridges and parts. Powered Air-Purifying Respirators (PAPR) - These respirators use a blower to pass the contaminated air through a filter, purify it, then deliver it to a mask or hood. 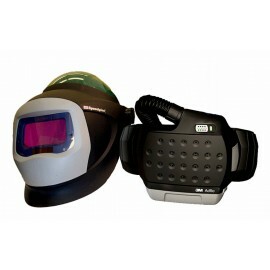 PAPR masks filter mists, dust, fumes, vapors, and gases, similar to ordinary welding respirators. You cannot use PAPRs in oxygen-deficient atmospheres, which can result when another gas displaces the oxygen or consumption of oxygen by a chemical reaction that occurs. Oxygen levels that are below 19.5 percent will require a source of supplied air or supplied air respirator protection. Levels below 16 percent are considered life threatening. 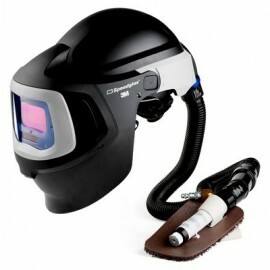 Other features are available to help customize your needs for the right respirator for welding. 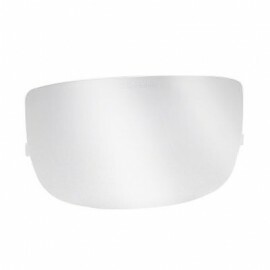 Nose cups are available and reduce fogging, while lens covers protect the lens from paint, minor chemical splashes, and scratches. The primary airborne contaminant found in arc welding is welding fume. Welding fume is a complex mixture of very small particles of metal oxides. The specific components depend on the composition of the welding electrode (stick, wire, or filler rod), base metal, surface coatings, and the type of shielding gas or flux. 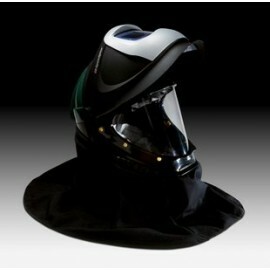 Wear a particulate or half face welding respirator for protection. When electrode coatings, fluxes, shielding gases, and surface coatings are burned or exposed to ultraviolet arc rays, they can generate potentially harmful gases, such as carbon monoxide, ozone, nitrogen oxides, gaseous fluoride, and phosgene. Whenever feasible, you should use local and area ventilation systems to remove harmful fumes and gases. However, in many cases engineering controls alone cannot reduce exposure levels adequately. In these situations, it may be appropriate to use respirators. For most welding applications, an array of welding respirator options exist that offer specific benefits and limitations.